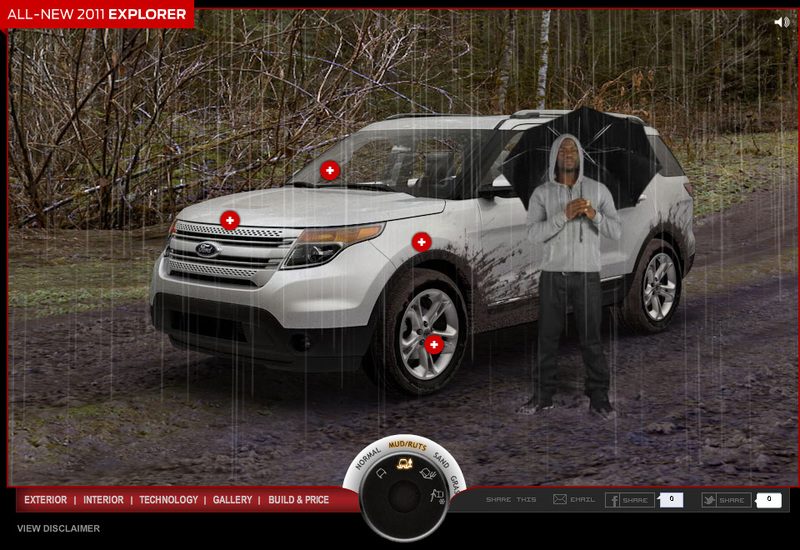 When Ford needed to build a website showcasing their Explorer SUV, they turned to 9k9. 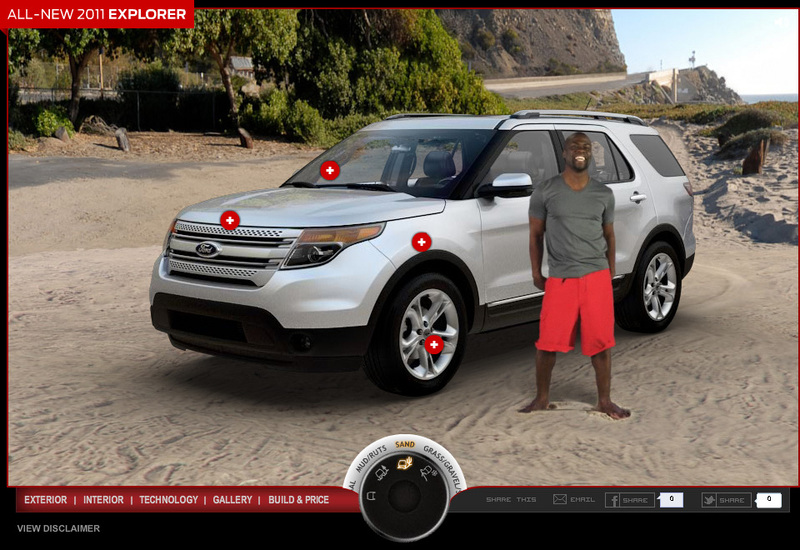 It was a perfect match. 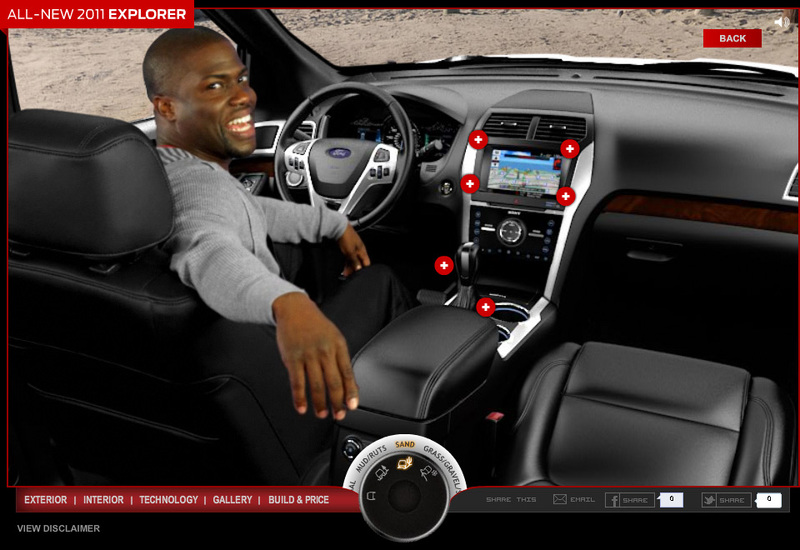 We constructed a CG version of the Explorer, shot actor/comic Kevin Hart against a blue screen talking about the SUV, and developed the look for the site. 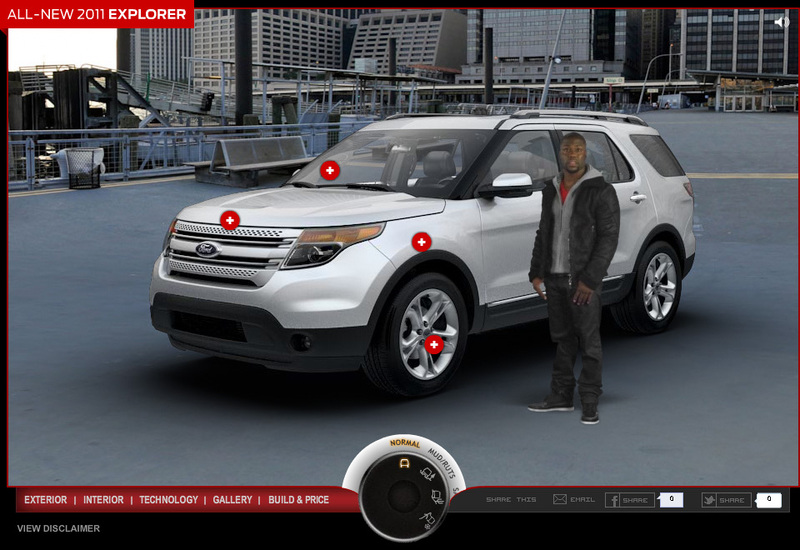 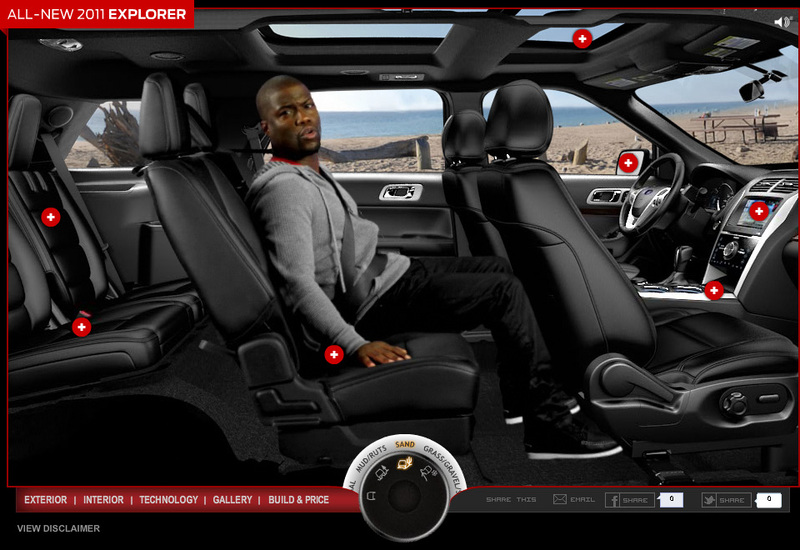 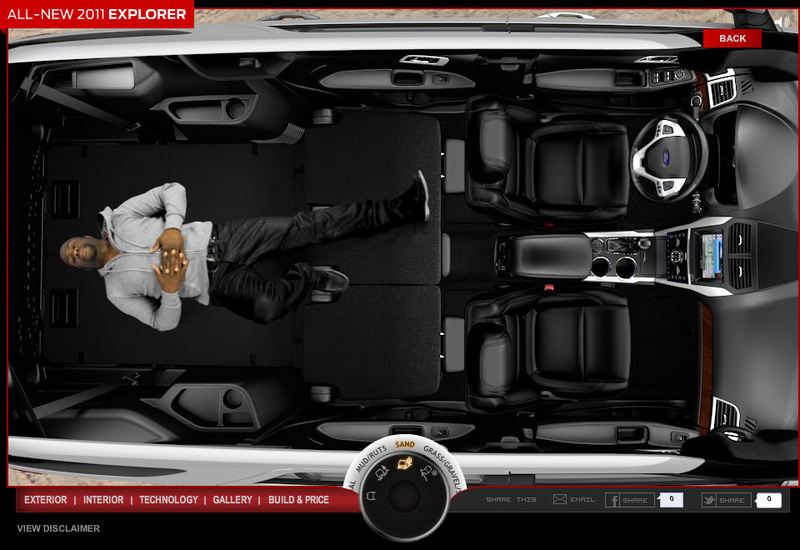 The site features Kevin Hart (Little Fokkers, Def Comedy Jam) standing next to the SUV in a variety of environments. 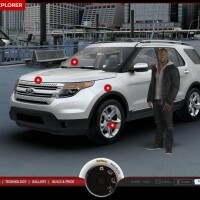 “Ford wanted to emphasize the Explorer’s new Terrain Management System, so we placed Kevin and the SUV in different environments digitally” says Opfer. 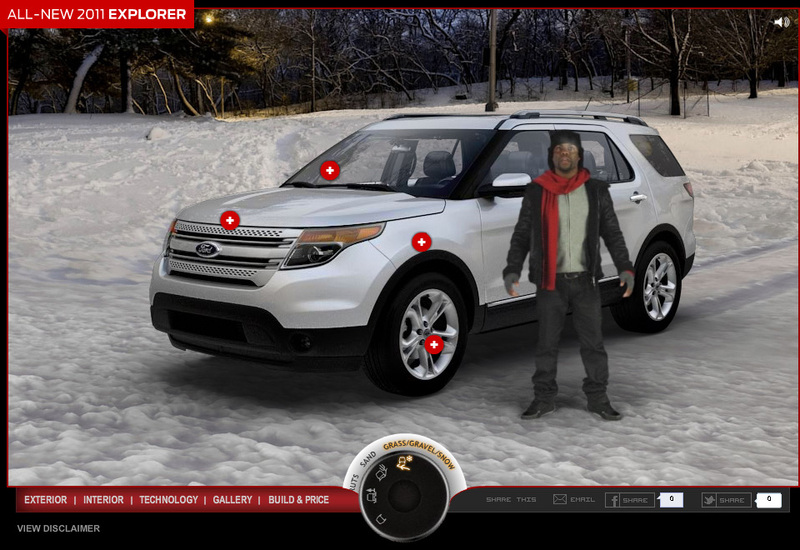 For scenes on a beach, sand was brought into the studio for Hart to stand on, and to simulate a cold, snow-covered environment, 9k9 added digital effects to allow Hart’s breath to be seen.